Most people on low incomes with long-term health conditions (that last longer than six months) can apply for financial help. This is to cover or partially cover general practice fees and other health-related costs. Children and adults with disabilities can apply for disability allowances. There are also other options for specific health conditions. The following sections provide information about sources of financial support for health costs. If you struggle to meet your health costs, talk to your general practice team. There is sometimes extra funding available (called enhanced capitation or access funding). Your GP may be able to use this to reduce the cost of your health care. This is especially likely if you have health conditions that mean you need regular care from your GP. Some people may remember a scheme called Care Plus. Care Plus is no longer going in Canterbury. It has been replaced by enhanced capitation. People with a Community Services Card and their dependants aged 14 to 17 who are enrolled with a general practice pay less for their visits to see a doctor or nurse. 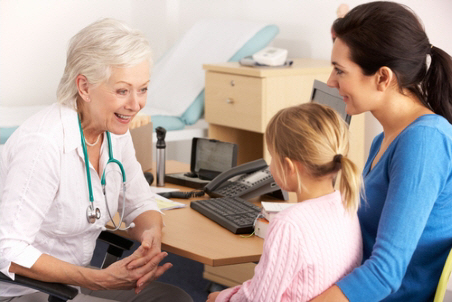 Children under 14 who are enrolled with a general practice aren't charged a fee for visits to most general practices. See Zero fees for under-14s for more information. If you have a disability that's likely to last for at least six months, you may be eligible for a disability allowance. This is a means-tested Work and Income (WINZ) benefit. It can help to pay for a wide range of health-related costs, including GP fees. WINZ may also provide funding for other treatment, such as physiotherapy and counselling. They'll provide this funding if they believe the treatment is related to your disability. To be eligible, your weekly income must be below a threshold. The threshold depends on several things, including whether you have a partner or children. For more information, see Disability Allowance on the Work and Income (WINZ) website. The child disability allowance is a fortnightly payment made to the main carer of a child or young person with a serious disability. It is paid in recognition of the extra care and attention that the child needs. You may get a child disability allowance if your child needs constant care and attention for at least 12 months because of a serious disability. You and your child also have to meet other criteria. For more information, see Child Disability Allowance on the Work and Income (WINZ) website. Many medicines are subsidised by the government. Most people pay a $5 per item prescription charge towards the cost of the medicines they receive. The Prescription subsidy scheme means you don't need to pay the prescription change once you've paid for 20 items each year. If you have a medical condition that affects your mobility, you may be eligible for a mobility parking permit. See Mobility Parking for information about eligibility and how to apply for a permit. The Total Mobility half-price taxi fare scheme provides a discount of usually 50% off the normal taxi fare. Two of the providers in Canterbury are CCS Disability Action and Aspire Canterbury. You can phone Aspire Canterbury on (03) 366‑9093. Age Concern has produced a list of Community transport providers in Canterbury (the link downloads a Word document). St John offers a Health shuttle service that can take you to essential medical and health-related appointments, and then bring you home again. It is available in Ashburton and North Canterbury. The National Travel Assistance Scheme may help pay for some travel costs if you're referred by your specialist to see another specialist at a different location. If you're eligible, you may get financial help towards your travel and accommodation costs. Your specialist will need to approve your accommodation and specialised transport needs. Do you travel more than 80 km one way per visit (for a child) or 350 km one way per visit (for an adult)? Do you visit a specialist 22 or more times in two months? Do you visit a specialist six or more times in six months, and travel more than 25 km one way per visit (for a child) or 50 km one way per visit (for an adult)? Are you a Community Services Card holder and travel more than 25 km one way per visit (for a child) or 80 km one way per visit (for an adult)? For more information about eligibility, see Who's eligible for travel assistance. New Zealand Veterans' Affairs may be able to help with the cost of treatment and rehabilitation for specific medical conditions due to service. The Ministry of Health provides a range of subsidies, but many of these are paid to the supplier of the service or prosthesis. You can find information about free or subsidised services for specific conditions in the sections about those conditions.